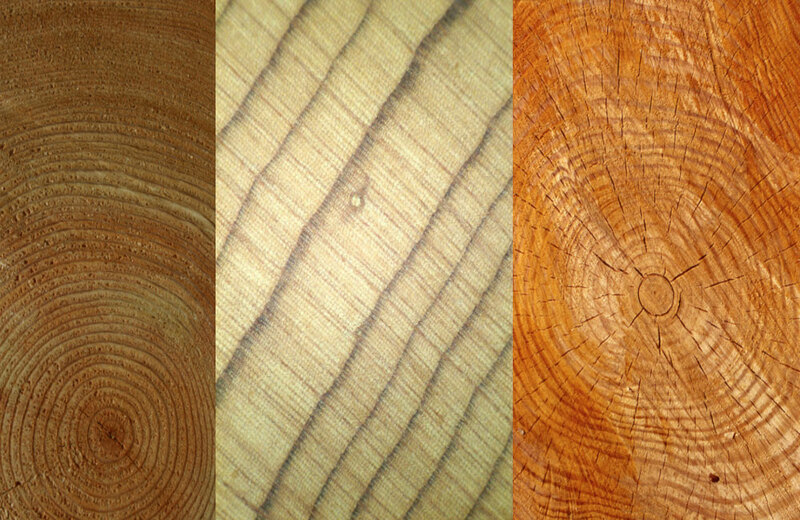 Dendrochronology is the act of analyzing tree ring patterns in wood in order to determine the wood’s age. Dendrochronology has been used for many years in scientific research like geography and archeology. Dendrochronology can also be used to determine when a wooden instrument was made. Historians, auction houses and even high-end violin appraisers utilize dendrochronology to determine the quality and age of fine violins, violas, and cellos. The process of dendrochronology begins by analyzing spruce top of the violin in question or high-resolution digital photos of the instruments. For each year that a tree lives, one layer develops below the tree’s bark, creating a ring. Rings consist of two layers of wood, a “lighter” early wood and “darker” late wood. The prominence of each layer varies depending on the light, rain, and soil that the tree was exposed to during that year. The wood used to craft violins must be sawn from a tree or split from the center like cutting a piece of pie. The analyst then uses a microscope to record the widths of each light and dark segment of the ring to construct a unique thumbprint of the tree rings. This “thumbprint” pattern is recorded on to scale paper where computer programs can place the pattern on a time axis. These patterns are compared to samples from cores of living trees and older established Alpine tree ring graphs. Patterns that match living trees give clues to the location and year of the wood when it was chopped down and made into an instrument. One significant benefit of using dendrochronology is the ability to provide insight on the authenticity of violin labels. 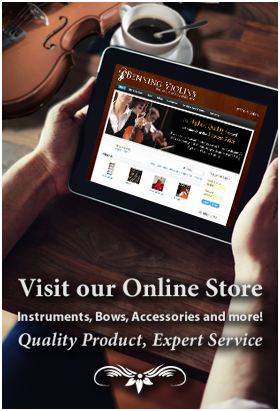 For example, a violin may be labeled as being a “Stradivarius” with a date of 1734. Someone may want to determine whether it is one of the rare original instruments as opposed to a copy. Dendrochronology can be used to determine what year the wood in the instrument was chopped down. Although it is impossible to find concrete proof that Stradivari actually built the instrument, it is possible to determine the age of the wood, and if this date is after Stradivari’s death in 1737, it can be concluded that Stradivari did not build the instrument. The fine violin in question must have at least 50-60 visible rings present in order to obtain a significant reading on its age. High-resolution images are taken of the instrument and the contrast and brightness are adjusted so all the rings are visible. Two separate analysts measure the rings at .001 m on separate occasions to develop a consistent chronology pattern. This specific chronology pattern is recorded and then compared to other chronologies in a Tree-Ring Database. Sometimes it is possible that an instruments’ chronology will match several trees in the database. If that is the case, then the instrument’s wood will need to be studied further to determine the species of wood. For example, our Stradivarius matches one spruce tree in the early 1700s and one pine tree in the late 1800s. Further study of the wood shows that the violin came from a pine. Therefore, it must be the pine from the 1800s, and it would prove to not be a Stradivarius. The process of dendrochronology can be used to trace the wood of instruments back to their roots. The age and type of wood can be determined to provide authenticity and quality in finely-crafted instruments.